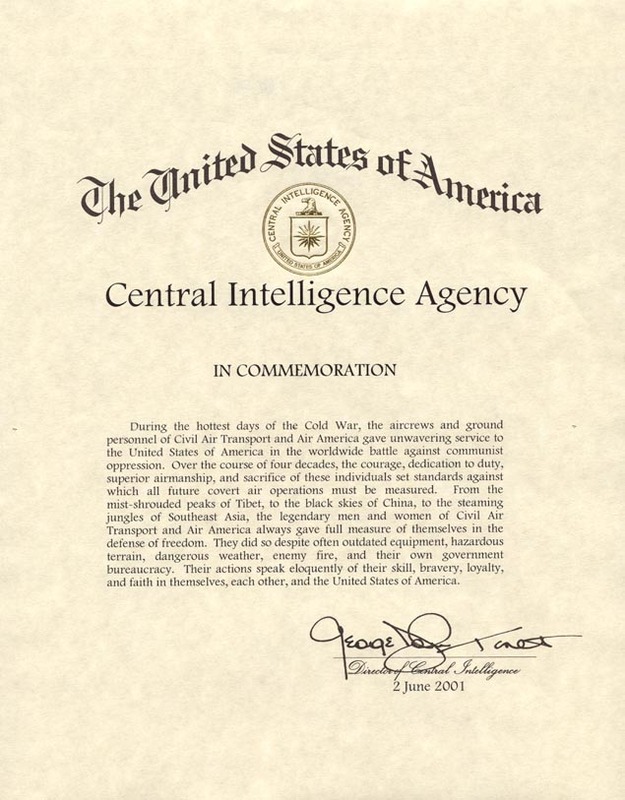 On June 2, 2001, representatives of the United States Central Intelligence Agency presented the Civil Air Transport Association and the Air America Association with a Unit Citation Award recognizing and commemorating our collective service and sacrifice in Asia and Southeast Asia. 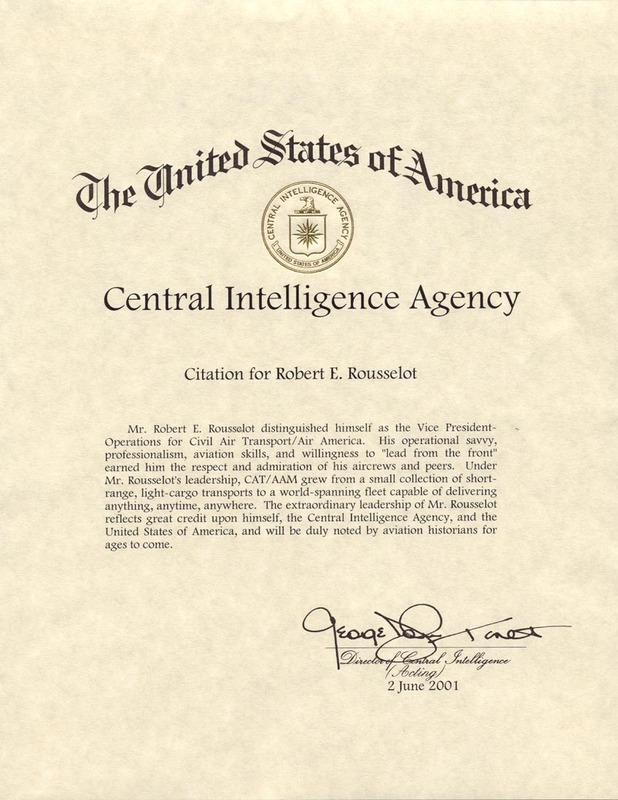 The CIA also presented individual citations recognizing the specific accomplishments and contributions of Hugh L. Grundy and Robert E. Rousselot. Jim Glerum and a senior CIA representative presented the citations during the joint CAT/Air America Associations Banquet. More than 800 association members attended the event. 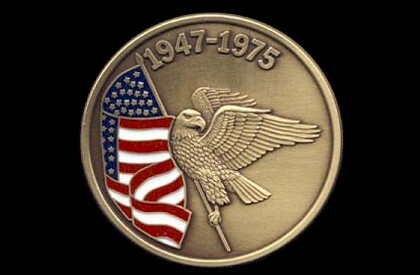 Commemorative Medallions and Postal Cachets were also available at the reunion. 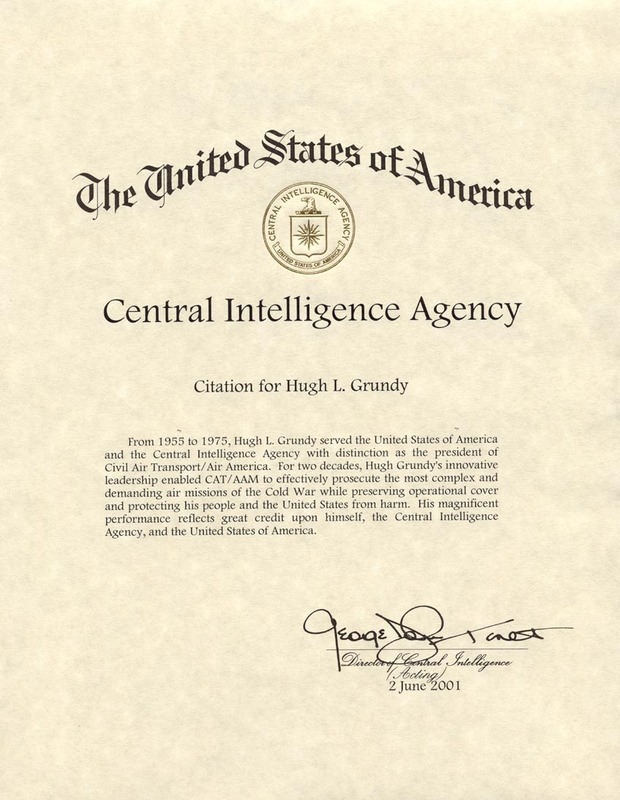 To obtain Medallions, Postal Cachets, and copies of Citations, please click here. For easier downloading, the image to the left is a smaller file. 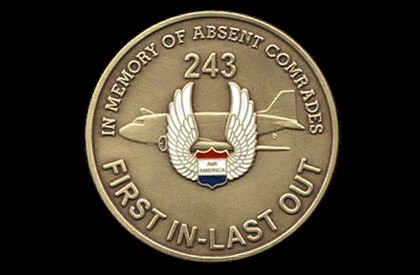 To view a larger image, please click on the image to the right. Click on an image to view a larger file. Read Newspaper Article about Robert Rousselot.